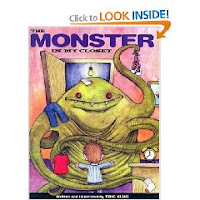 To go along with this story we made one the the silly monsters in the book and then we fed it some of our laundry to clean. This monster is actually still up. It has really gotten Miss Priss excited about doing the laundry. We watched Hocus Pocus. A favorite of mine at Halloween time. Made Pumpkin Pudding and toasted the seeds. I am not sure if I liked the Pumpkin Pudding I am still deciding. 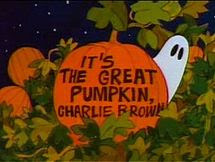 We also watched It's The Great Pumpkin Charlie Brown Cartoon. Use a metal cookie cutter and place it in a cookies sheet and then fill with jolly ranchers. Bake for a few minutes in the oven just until the jolly ranchers begin to melt and then when they cool you can not only eat them but you can hang them as a decoration as well. I left mine in a little to long so they didn't turn out as I had hoped they would. We might try this again for Christmas or Valentines Day. We also painted Halloween shirts for the kids to wear Halloween Night. These shirts matched the PJ pants they were getting as a surprise goody on Halloween morning. they just didn't know it when painting these.